I have two great women to feature today for the start of my A to Z Challenge! Nicole Small, aka A Kansas Farm Mom, is a farmer I met thanks to social media and if I remember it right, I first met her in person in Hutchison, Kansas cause she’s from southeastern Kansas town of Neodesha. She will point out that she is “not THE farm mom, I am just A farm mom in Kansas” And I’m guessing that it is part of the reason she named her blog Tales of A Kansas Farm Mom. On our farm we grow cattle, wheat, corn, soybeans and milo (sometimes called sorghum). We have cows that give birth to babies in the spring that are eventually raised for beef. The type of wheat we grow was planted in October and will be harvested in June to be used for bread and all purpose flour. The corn we grow goes either to chicken feed or to make ethanol and what is left over after the ethanol, we can buy to feed our cows. Most of our soybeans are actually shipped overseas to feed livestock there. Milo has became popular again as it is more readily traded and is gluten free. One thing that makes our farm really unique is that my husband and I both work full time on the farm together. Many of our farmer friends have at least one person if not both working “off the farm” in town. Working everyday with my husband is a blessing and a challenge. I have the responsibility of managing all of the cattle decisions while he takes charge of the crops. We both help one another out all year long. I drive the combine during harvest and he helps with feeding and caring for the cattle during the winter. Work always follows us home and even our boys know that farming may be deemed more important than us sitting in the stands of their sports games. The best thing about farming for me is getting to work outside everyday with my family and watching the seeds we have planted grow. Although, the winter weather can really make things challenging or the summer heat can be hard to keep working, I really do love it everyday. I feel very lucky to be able to say that I love my job and that my kids can come work with me when they aren’t in school. The boys are getting old enough that they can help out quite a bit and know when they need to stay out of the way for safety. 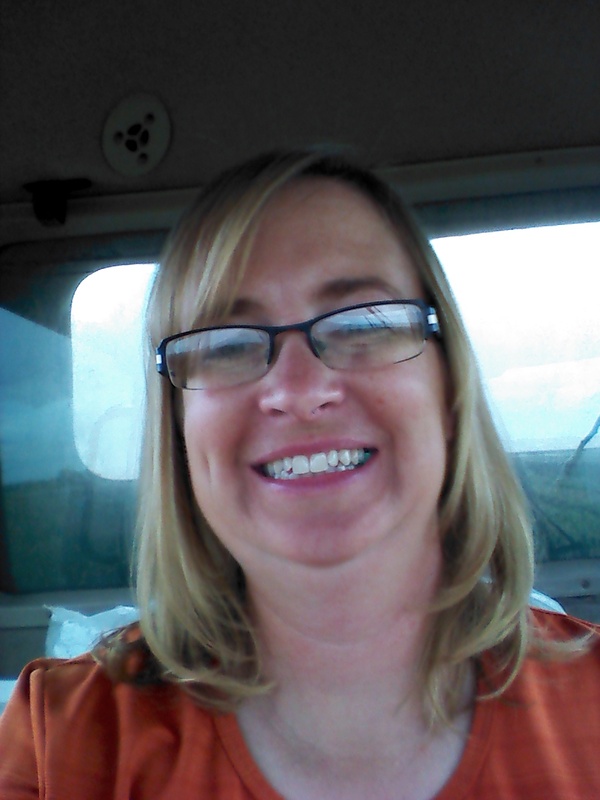 Hilarie Peterson blogs as An Accidental Farm Wife from he Peterson Family Farm in Riverton, Utah. 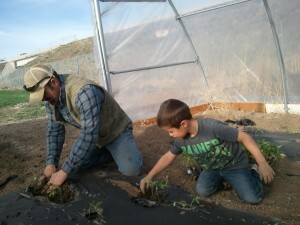 The family also has a Little Farmers Preschool and you can see what Farmer Luke is up to too! In a word? Community! We run a year round farmer’s market on our farm. The city has grown up around us, so we provide good local produce, meat, cheese, eggs, etc to our neighbors. We also do seasonal activities: Easter Egg Hunt, Baby Animal Days, Chile Roast Festival, Pumpkin Patch, Harvest Festival and Christmas on the Farm. We grow our own produce and source the other products from local farmers. Farmer Luke is a 5th generation farmer but the property we currently farm has been farmed by 3 generations. We farm 80 acres of row crops/Produce (sweet corn, tomatoes, peppers, watermelon, cantaloupe, other melons, eggplant, pumpkins, green beans, popcorn, etc.). Farming means everything to our family. Luke and I both have masters degrees and could be making A LOT more money in other fields, but we believe we need farmers for the security of our country. We all need to eat! And we also believe there are innumerable non-economic benefits to farming. Who wouldn’t LOVE raising their children on a farm- open space to play on, meaningful chores to teach them work ethic, science observed daily with the plants and animals, etc. I could go on and on. Our farm is unique, because of the city that surrounds us. We like to provide an agricultural experience. Thanks! I really am enjoying it too! 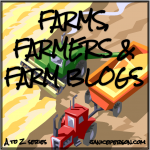 I really admire farmers, and I love being able to buy local, straight off the farm produce. Love that freshness so close to being picked too! Have a great day Danielle. Thanks for stopping by. I live in Brazil, it’s really interesting to hear about your crops and activities, to get to know which ones are different and which are similar to ours. I’m also glad to hear you like photography, I’m looking forward to seeing some of yours here. I wanted to thank you so much for the lovely comment you left on my poem. I don’t write for a large audience and I am certainly thankful whenever I get a visitor who takes time to say something that will bring me a smile. I have some great friends from Brazil, some still in Brazil! Its great to meet someone who shares a passion for agriculture too! I am born and raised a city girl and admit that the years spent in a rural, remote area were challenging even though they were great in some ways. Not sure living there is for me again but I totally love visiting! Have a sweet night yourself! I grew up on a farm and now live in a farming community but in town. My sister lives ten minutes away on a dairy farm. Farm life isn’t easy but there are lots of rewards. Agreed! I have lots of friends who are farmers and can tell you I don’t think I can do it! So hard. The number of hours… especially for dairy farmers… Lord love them. Thanks for reading & commenting!!! Lovely to read! Farming is a way of life that I am very unfamiliar with – though both intellectually and emotionally I am so very, very grateful for those who farm!!! Thanks for offering this glimpse. I look forward to more. Happy A-Z! Thanks! Glad you enjoyed the look! Happy a-z to you too!